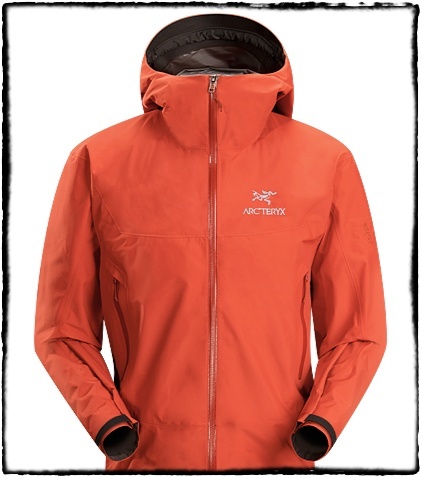 Arc’teryx may not be the cheapest outdoor clothing products on the market but without doubt you get what you pay for. The attention to detail, tailoring and the products they offer are without doubt some of the best I have experienced. 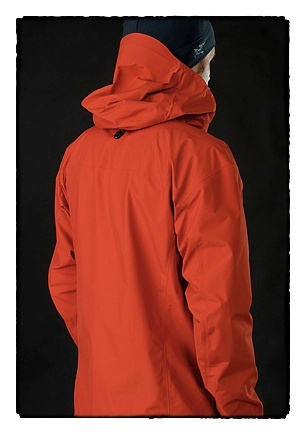 The Bets SL Jacket has had a tweak to the design for 2012/2013 and now has a slimmer fit and a storm hood. These tweaks make it an ideal lightweight, packable and waterproof jacket for long distance races that require a mandatory jacket with taped seams and hood. It is not a run specific product but it is most certainly designed with outdoor pursuits in mind when weight, size and full protection are key. 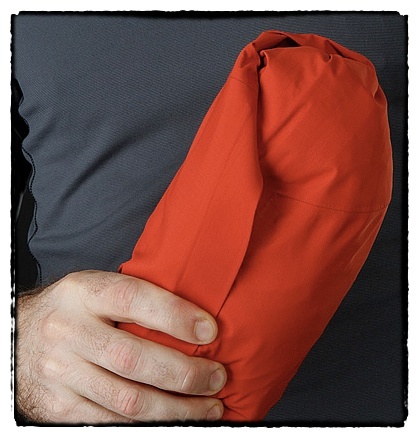 Rolled up, the jacket will fold and store in its own hood making transportation easy. Made from GORE-TEX® PacLite® it is designed as the perfect ‘take-along’ emergency storm protection. GORE-TEX® PacLite® is the lightest waterproof protection from the brand. It is the most packable and has a 2 layer construction that reduces weight but offers maximum protection. The redesign has made some really specific differences for runners (or hikers). The slimmer fit means that the potential for ‘flapping’ fabric is reduced. This is a really key feature for a runner, nothing more annoying than fabric moving in the wind, slowing you down and adding noise pollution. What I would recommend is that you try this jacket on with clothing you expect to wear when running. No point wearing a shirt and jumper and thinking the ‘small’ is too small only to find that when you have a thin thermal running top underneath the small would have been perfect. For example, I am a 38/40″ chest and I have a small. It has a short length. Another key feature. This means that running is not restricted by a jacket that goes too far past the waist. In addition, it has a drawstring that will allow you to adjust how loose or how tight the waist is. The jacket is a little lower at the back offering added protection and importantly it is gender specific, so, yes Ladies you have your own specific tailoring. Zips have a ‘garage’ to reduce flapping and add security. 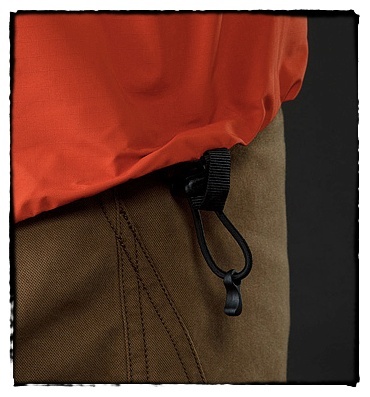 Seams, pockets and ‘extras’ are kept to a minimum to ensure the jacket remains waterproof. 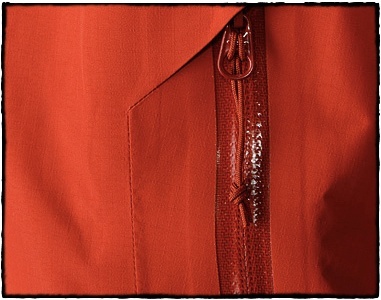 Seams are sealed GORE seam tape with micro seam (1.6mm) to ensure the jacket has minimal bulk. One touch I really like is a smooth piece of fabric added to the inside of the neck to avoid abrasion and rubbing. It’s the small touches like this that makes the difference. 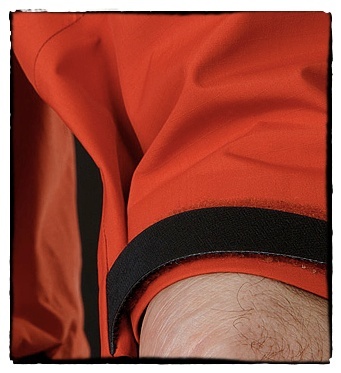 The cuffs close tightly to make sure that you ensure no water enters up the sleeve. They are also wide enough to fasten over a glove if required. The new Storm Hood really is the business. It has a laminated brim and is fully adjustable to ensure that you have a fit that is comfortable for your own personal needs. The front zipper goes up high, so, with the hood pulled tight, and zipper up, you really are fully protected should the weather turn very nasty. Another key feature of the hood is that it has a trim fit but it does have enough room for a beanie or peaked cap if required. Many of the functions on the jacket such as the pocket zippers, the main zipper and the adjustable cords can all be open, closed and adjusted whilst wearing gloves. 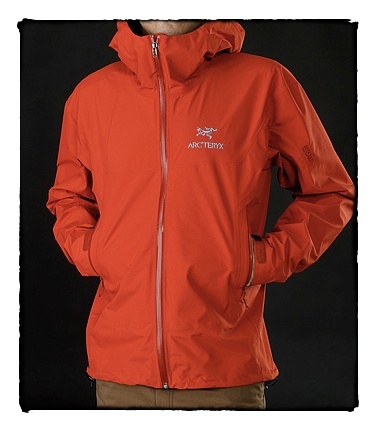 The jacket is not the smallest fully waterproof jacket with hood that is available on the market. It is also not the lightest. For out and out racers who are looking to be as minimal as possible then this jacket may very well be far more than they need. But if you are like me and may very well be out on a training run or race route for extended periods in bad weather then this jacket may well be your best friend. It actually could make the difference between finishing and not finishing. I have been out in some seriously cold and nasty weather of the last 3-4 months and the Beta SL has been a pleasure to wear. It just fits! It sounds such a crazy thing to say, but when you put a jacket on that feels as though it was made specifically just for you then that cannot be underestimated. I had no flapping, no ‘extra’ fabric and no unnecessary ‘extras’. The tailored fit allowed all the movement I required and in particular I was impressed with the tailoring under the arm. In bad weather the high neck provided a wonderful wall to hide behind. With the hood up, adjusted and closed in I was protected from the worst that could be thrown at me. I had one particular day with non-stop rain for hours and hours. Not one drop made its way inside the jacket. Pros: It’s a proper ‘full on’ storm/ bad weather option and as such it is most certainly a jacket that you would want for long days out in bad weather or if venturing into the mountains. The fit as with all Arc’teryx products is spot on and the hood and high neck are real bonuses if required. I had no water penetrate the jacket and believe me, I was out in some horrendous weather. The addition of two pockets was useful. Cons: This is not a run specific product so you will probably want to view this jacket and try it on for your own personal comfort level. This is not a jacket for the odd shower and as such it does pack a little larger and it does have a little more weight than other ‘streamlined’ products on the market.